Suggesty, an innovative new virtual stylist phone app, has launched to the U.S. market. The app’s goal is to maximize a user’s time and resources by curating a range of designer looks, pulled specifically based on the user’s personal style, that they can buy directly from within the app. We felt like consumers were trapped when it came to choosing where to shop. They really only have two choices: mass produced chain brands or super exclusive high end brands. 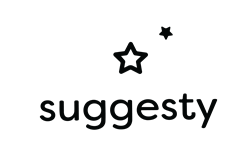 Suggesty offers a new option. The idea for Suggesty came from Founder Sangwoo Kang’s own personal experience. A busy New Yorker who deems himself ‘the worst dressed guy in NYC’ explained that “shopping online was always absolutely overwhelming for me; there’s no one to tell you what to buy or what will look good on you. It’s just a bunch of clothing thrown at you randomly, and you’re supposed to know what to choose.” When he had to shop in stores, he would recruit FIT graduate, stylist, and current Suggesty Creative Director, Jeewon Kim, to help guide him through the dreaded process. Kang finally decided that everyone could use a 24/7 virtual version of Jeewon. Suggesty sets itself apart from the competition by focusing on the user first, and the product second. Through a human element that other virtual stylists currently do not offer, the app is able to truly learn about its audience. An initial round of questions to build a user profile also teaches the app about the user’s personal style, their interests, and how and where they spend their time. Within seconds it will curate an assortment of designer pieces for the user, picked specifically for them. From there the user can select any style, purchase it, and have it sent right to their doorstep. “We felt like consumers were trapped when it came to choosing where to shop. They really only have two choices: mass produced chain brands or super exclusive high end brands,” explained Kang. “By working directly with emerging designers, we’re able to cut out the middleman and bring prices down, while also gaining access to collections that are not widely available to U.S. consumers.” Suggesty doesn’t just aim to curate beautiful clothes, but discover them. “We are constantly on the search for new and unique designers and brands to work with and help cultivate. Every month we’ll add amazing designers that have been strictly screened for quality of product and design,” added Creative Director Jeewon Kim. The app centers around co-growth; a place where indie designers have a platform to promote their brand. Suggesty truly is an app for everyone. Initially launched for those who didn’t have the time or the know how to shop for themselves, the vision for the app has evolved, and the high-fashion and high-quality curated looks provided now make it an essential tool for even the most seasoned fashionista. As Suggesty grows, there will continue to be updates, new features, and new designers added. The Suggesty team is currently working on a camera feature that would allow a user to take a selfie, and then the app would curate looks based on eye color, skin tone, and hair color. To learn more about Suggesty, please visit: suggestyny.com. For any press related inquiries, please contact Megan Reeves at AMP3 PR via 212-677-2929 or Megan(at)amp3pr(dot)com.